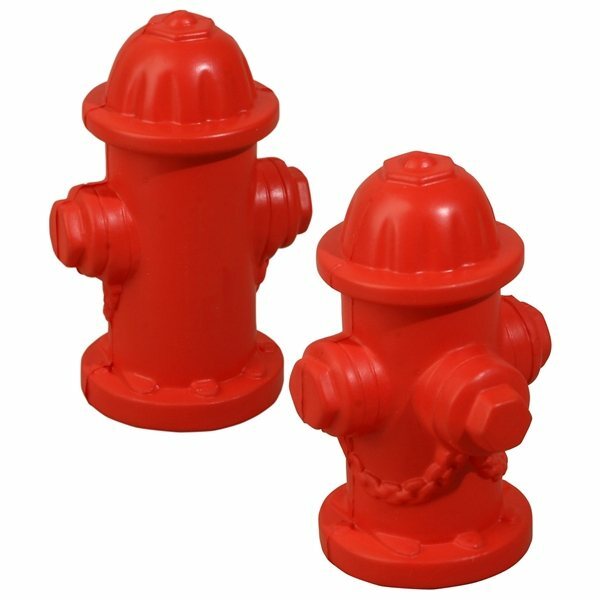 Fire hydrant shape stress reliever, 3 1/2" x 2 1/2" x 1 1/4". I loved how crisp and clean the logos looked on the items. the product was very professional. There wasn't anything I didn't like. Not only was the product of the best quality and looked really good, but the service I got was superb. Nice product. Sturdy, good quality. Would recommend. Will buy again. The logo design looks perfect. Very Pleased with Product and Quality! I run a resort in Hawaii and I used these for the keys to my cottages. I was impressed with the quality, the packing and delivery as it arrived completely intact.